What can organizational psychology tell us about the calibre of our political leaders? Organizational psychology provides substantial evidence about the characteristics of a successful leader, yet as Dr Almuth McDowall explains, this knowledge is not consistently used when considering the suitability and capability of our political leaders in the UK. It never fails to astonish me that much of what we have learned from applying the science of the mind to the context of work does not seem to have made much of an impact on the world of politics. Politicians, by definition, are leaders – so we should apply leadership theories to our assessments of their performance. Politicians’ day job is politics, but surely they need to bring the right knowledge, skills and attitudes (KSAs) – things that we would measure in any other job to see if people are suited to what they do. In 2007, Jo Silvester and Christina Dykes published a longitudinal study of prospective political candidates. The researchers conducted a job analysis, which is the first step in organizational psychology for a range of activities including selection and training, to draw up a competency framework – what do politicians need to be good at? The resulting competencies (KSAs) looked very much like those we would expect to find in other organisational contexts, including ‘intellectual skills’, ‘relating to people’ and ‘leading and motivating’; the only politics-specific competency was the level of ‘political conviction’. Performance, as measured in this way, predicted political performance, but so did their critical thinking capacity as measured by psychometric tests. So what can we learn from this study? Political performance can be measured, and surely it should be transparent to both politicians, but also voters, what marks ‘good’ performance in this context. This study found no evidence for any gender differences either. So how do Theresa May and Jeremy Corbyn fare when measured against aspects of this framework, based on what we have observed of their leadership during the general election campaign? I remain unconvinced that either displayed critical thinking capacities if we take the election manifesto of either party as a performance output. The conservative manifesto was ill judged, alienated core voters (the dementia tax….) and overall just did not convince enough people that the Tories were worth re-electing. The Labour manifesto scored higher on political conviction, but had almost no suggestions for how any changes might be funded, putting strategy before any references to feasibility of implementation. What about each party leader’s capacity to lead and motivate? Corbyn and his party clearly succeeded in mobilising grass roots support and also mobilising the young electorate which had absented itself from the Brexit referendum. ‘Communication skills’ and ‘intellectual skills’ are another aspect of the model of political performance. Taking reactions to the recent terrorist attacks as an example, May failed to show any human reaction to what were two sets of tragic events in short sequence, at a time when the general public is in great need of reassurance and support. Corbyn, on the other hand, attributed the happenings as a reaction to the UK’s involvement in war in Muslim countries; not a correct inference, as neutral countries have also been subject to attacks. 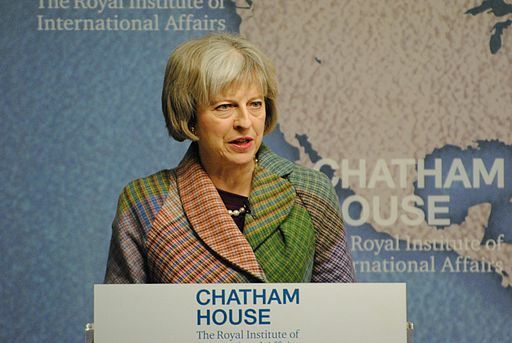 In terms of leadership, Theresa May seemed uncertain during what political commentators unanimously refer to as a disastrous and misguided election campaign. Her chief aides have now resigned, which throws into question her judgment on which advisors to surround herself with. Good advisors and teams are crucial to any political role. Modern life is so fast-moving, complex and, as recent events have demonstrated, unpredictable that no one person can lead a party, let alone a country, on their own. In organizational psychology terms, there is a substantial body of research which demonstrates that ‘shared leadership’ across teams and organisations leads to better performance and better outcomes all around. Yet, in politics as well as in corporate life, we tend to pin our hopes on the one person at the top. Surely the time has come to change this, and make political leadership a more balanced, fair and transparent process than is currently unfolding in front of our eyes. I grew up in Germany, learning in English textbooks about the Anglosaxon culture, about the power of the voice of the people and the unique British democratic process. Yet, recently, I no longer feel so certain that the current political system is serving us well and reading the political press in my home country, it seems other voices in Europe agree. The time seems to have come to rethink politics and democracy to instil fairer and more transparent processes to ensure that a) politicians are up to their job and b) voters can make informed decisions. Birkbeck’s Commitment to Occupational and Organizational Psychology – a new doctoral route at National Level? Birkbeck has a long and proud history of pioneering activities applying the science of psychology to the world of work. Birkbeck’s MSc programme was the first of its kind in the UK, and in fact coined the term ‘occupational psychology’. We remain the only dedicated work psychology department in the UK. Other countries use ‘organizational psychology’ (reflected in the current name for our department), ‘industrial and organizational psychology’, or simply ‘work psychology’. But regardless of the exact words, we all have a common aim, which is to apply our expertise to work activities. The profession of psychology has seen several changes in the UK, not least that several titles have been protected by law for some years, including educational, counselling, clinical, sports and also,of course, occupational psychology. The intention is to provide assurance to the public, so that people know that a qualified psychologist bearing such titles has undergone rigorous and robust training, and is regulated by the Health Care Professions Council (HCPC). While the other strands of applied psychology have long recognised the need to train to doctoral level through education delivered by universities, occupational psychology has been slightly different in that there has been only one qualification, delivered by the British Psychological Society (BPS), which leads to eligibility for ‘Chartership’, the gold standard for the profession. But are there changes afoot about how and by whom the qualification is delivered in the future? Together with a committed group of academics and practitioners, I have been working over the last four years towards the agreement of new standards at a doctoral level for occupational psychology, which were approved by the BPS in late autumn 2016. We briefed members of the society at the Division of Occupational Psychology Annual Conference in January 2017. Be prepared for lifelong learning and development as commensurate for an independent applied psychology practitioner. The underlying philosophy for the new standards is that they are flexible and broad, and will enable potential education providers to offer relevant doctoral level qualifications which take a unique and considered approach. But the common elements have to be that individuals practice ethically and with reflection, can make sense of how complex organisations are, and work through projects from the initial identification of what needs to be done through to eventual evaluation, drawing on best evidence at all times. The profession of occupational psychology has seen many changes, as large departments have been down sized and/ or abandoned, and practitioners are now likely to be working in independent practice. This has meant that our work is perhaps less visible to those who don’t know or understand what we do. But the reality is that businesses need people, as in our knowledge economy it’s what we have in our heads, rather than infrastructure or technology, which equates competitive advantage. This is the focus for our undergraduate and postgraduate programmes here at Birkbeck. We are now considering a new doctoral, route, too. Do get in touch by email or in the comments below if this would be of interest to you, as we are keen to engage with potential students during our scoping phase. This blog forms part of the ‘School of BEI’s OP week’. Follow us on Facebook or Twitter to learn more about studying in the Department of Organizational Psychology at Birkbeck! This post was written by Professor Patrick Tissington, head of Birkbeck’s Department of Organizational Psychology. Here, Professor Tissington offers advice to new students beginning their courses all over the UK and beyond on how to get the most out of the university experience. this article first appeared on Prof Tissington’s blog on September 12 2016. And so it’s the time of year when thousands of students embark on the Great Adventure that university is. Having had the privilege of tutoring students through this transition for nearly twenty years, I wanted to share my experience to help with this important and exciting time. In this blog, I will cover how to approach the start of your university career. Further blogs will top you up as you go. All the evidence points to students who do well, enjoy their time at university and get the most out of it are the ones who feel part of the university in a very personal way. These days all institutions have vast arrays of clubs and societies for their students which are usually supported financially. So there are so very many options for interests you can pursue outside of your studies and they will be far cheaper than you can find elsewhere. It might seem odd for me to start by telling you to look for things to do outside of lecture time, but it is with good reason. Look for the ones that seem most fun to you. If you played hockey at school, you might want to carry this on and make a bee-line for like-minded hockey folk. On the other hand, going to university is a chance to reinvent yourself and you could decide that you don’t want to be known as a hockey player any longer and want to try rock climbing, chess or ballroom dancing. Even if you aren’t sure, join several clubs and see which ones you want to carry on with. But make sure you do keep at least one going. It is your way to get to know people outside of your course and will broaden your experience. There could be opportunities to put it on your CV but that really shouldn’t be your driving force. University is a time to broaden your mind in all kinds of ways, so make the best of the very many opportunities available to you. Oh, and yes I do realise that these days with the fees, you will have in mind always what you are going to do for a living when you graduate. But my experience is that those who have an open mind frequently find they gain far more benefit than those who just focus on building an interesting CV. Do make sure you are doing things that interest, challenge and entertain you. Perhaps do things that frighten you a bit! As I said at the start, there is a hard headed rationale for this advice. If you are part of a club, you will feel more involved in the university. This means you are far more likely to do as well as you possibly can in your studies. And believe me, the experience of being at a university that you feel involved with is something that stays with you for life. Personally I spent time working for the student magazine when I was an undergraduate at the University of Westminster. This gave me free CDs, free entry to gigs and friendship with people across the university. I loved it! I also joined the mountaineering club but that didn’t actually suit me in the end. So don’t be afraid to drop something if it isn’t working out. But don’t be flakey. Pick one or two things that you are going to do and throw yourself into them. The start of university is one of the very few times in life when you are able to just go up to someone and start talking to them. This can be intimidating to do at first but remember that despite appearances, pretty well everyone will be feeling the same way so dive in and meet people. But don’t feel you have to go to EVERY party. I have seen time and time again students get carried away by freshers week and carry on partying for weeks and suddenly find it is exam time and they haven’t prepared. You must always remember the core reason of being at University – learning. And yes I did say learning and not getting a good degree. If you set out to learn everything you can about your subject, all the things about study, exams and getting a job will fall into place. So work on balanced approach. If you have been out socialising more nights than not, you need to take a long hard look at why you have gone to university. This will not be sustainable either financially, physically or in the end, educationally. So have the guts to say no to invitations sometimes. My aim is to provide advice that will be relevant to all students who are starting at University this year. However, I work at Birkbeck, University of London where the majority of our students have been working for a while. So, some of the following might be less relevant to some of them. I worked my way through university but at the time, this was rare. But for you, unless you are very lucky, it is inevitable. So think again about balance. Find a job that will give you what you need in terms of pay but also isn’t going to be so tedious or stressful it will affect your studies or your enjoyment of life. Of course you need to be realistic and you aren’t going to find a job that gives you flexible hours and pays you large amounts of money to do fun things. But also remember what your value to an employer might be. As an intelligent, resourceful person, you might find there are ways of building from a basic bar job into something more interesting and better paid. People I knew worked in betting shops and found great ways of increasing responsibility and being better paid. Others did out of hours admin. As for me, I ran a market stall, trained as a tour guide and was in the Army Reserve. I don’t recommend you follow my example exactly as these aren’t exactly normal things to do, but hopefully you get the point about being creative when it comes to earning money. Of course the ideal is to have a job which will help you when you leave. Supermarkets for example have very good management training programmes and will look very favourably on any shop floor experience you have had. Anything that needs you to deal with the public or manage staff will be really useful. Be creative in your ways of earning. I know one student who is paying her way by buying things from charity shops and selling them on eBay for a profit. She has backup plans having qualified as a life guard and experience as a barista so there are options available to her. But the balance idea comes in again. I have seen people get so engaged in their part time job, it has encroached on their studies. This is a bad mistake. Scrimp and save so you have to work less to support yourself rather than taking extra shifts to buy clothes. And a word of warning as there is also a life lesson to be learned. Things that look too good to be true usually are. That is, offers to make easy money are usually scams. You will need to work for your money. But it is all good experience. I firmly believe that no work experience is wasted so labouring on a building site, working in a call centre or shelf stacking all give real insights into the word of work as well as providing much needed money to support you as you study. And my final advice for this first blog is one that comes from Stephen Covey’s excellent “Seven habits of effective people”. Think long and hard about what you want to have achieved when you graduate. Be really really specific about it. What do you want to be thinking and feeling as you walk across the platform to receive your degree? Do you want to be sure that you have landed the graduate job? Do you want to have got the best marks in all subjects that you possibly could have? Do you want to be looking back on your time at university as a time of fun, learning and growth? Spend time writing this down. Visualise exactly what you want to feel on that day. Having done this, now plan backwards. How will you achieve these feelings? What do you need to have done in the final year to achieve this? What in the second year (or third too if you are studying for four years)? What in the first year? And so what do you need to do this first term? No really. What do you need to do this term? And by half way through the term? By the end of this month? So what do you need to do this week. Write it down. This is an absolute must. By writing things down we make them more formal and we are far more likely to actually do them. So that’s it. The key to a successful university experience is balance. Don’t overdo the work but don’t under do it. Do have a social life but don’t over-do it. I will be back in a few weeks with tips on how lectures are different from lessons. How to get the best out of your lecturers and many other things. But if you would like to get the full details about all my advice, then it’s in a book. I wrote it with a former student who, despite being the first person in his family EVER to go to university, he got a first AND had a great time. His motivation for writing the book was that if he could do well at university, everyone should learn from his experience so anyone could achieve. I too struggled to find out what I was supposed to do at university and only really stumbled across the way of succeeding just before my finals. We both want to help students get the best out of university. And not only from their studies. 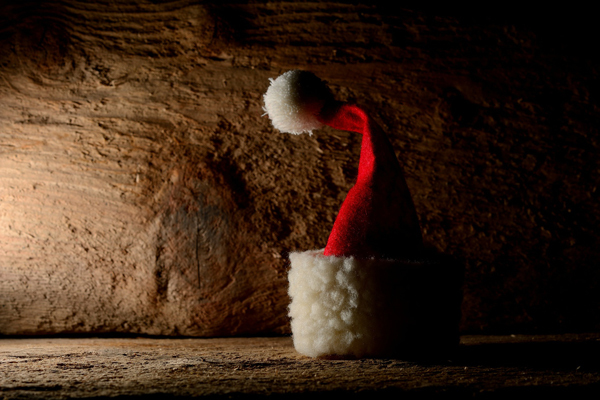 This December, Kevin Teoh (Department of Organizational Psychology, Centre for Sustainable Working Life) makes some light-hearted observations on the psychosocial working conditions of Santa Claus. Santa Claus sighs as he reviews his list of kids who have been naughty, and then goes over those who have been marked nice. The increasing global population means the number of children on his list grows with each passing year. Currently, it’s estimated to contain the names of between 152 and 526 million children (Bump, 2011; Svan, 2009), meaning a lot of presents to sort out and deliver. This is concerning, as there is ample evidence demonstrating that high workloads are linked with poorer health and lower job satisfaction (Goetz et al., 2013; Ree et al., 2014). Gosh, a sick and unhappy Santa, we wouldn’t want that. As Christmas approaches and work intensifies, Santa’s standard 9-5 hours five days a week gradually extends into the evening and the weekends, increasing the number of hours worked. The seasonal nature of work faced by Santa and his team exists in other industries as well. Accountants during tax filing season go through a similar increase in their working hours, which has a detrimental impact on their health and work-life balance (Sweeney & Summers, 2002). Putting aside the amazing feat delivering presents around the world on December 25th, cognitive functioning after more than 24 hours of continuous wakefulness is similar to having a blood alcohol concentration level that is over the legal limit (Dawson & Reid, 1998). If we are concerned for the safety and wellbeing of Santa, perhaps he shouldn’t be operating his sleigh under such conditions. While the job of Santa is likely to be very secure, I wonder whether his crew of elves and reindeers experience similar precarious working conditions that many seasonal workers do. Unfortunately, across Europe the high prevalence of temporary contracts faced by such workers not only increases job insecurity, but temporary workers often have fewer employment rights, perform more hazardous jobs, have poorer working conditions and are paid less (Hesselink et al., 2015). But surely though, given the charitable nature of Santa he must be as close to the best employer you will find? Santa has little influence over the fact the busy festive season peaks at the end of December. This isn’t desirable considering the importance control at work has in relation to worker happiness and health. However, the reality of many jobs is the presence of external factors beyond a person’s control. To manage this, job crafting has emerged with growing support as an approach encouraging workers to alter aspects of their own jobs that they can (Wrzesniewski & Dutton, 2001). We actually see Santa himself do this in trying to manage his big deadline. While many countries see December 25th as the day Santa visits with presents, Santa has staggered the dates on which he visits different countries. For example, he distributes gifts in the Netherlands on the 5th of December (as Sinterklaas), before moving onto Germany, Switzerland and neighbouring countries the next day. On the 18th, you will find him as St. Nicholas in the Ukraine, while on the 6th of January a Father Frost gives out gifts to many children of a Russian Orthodox background. In addition, we see that Santa has crafted part of the job for himself, and delegated aspects of the role to others. Across the world we see Santa as the bearer of gifts and happiness. However, in many cultures Santa partners local representatives who handle issues relating to discipline and punishment. The distributed work often involves beating misbehaving children or taking them away in sacks, and is carried out by Santa’s assistant Krampus (Austria and Germany), Schmutzli (Switzerland) or Zwarte Pieten (Belgium and the Netherlands), amongst others. It is not clear why he has crafted his job in this way. It could be to manage the overwhelming workload, or perhaps it’s an aspect he does not feel comfortable about or even competent at. Regardless, it seems to contribute to Santa’s success. Considering these points above, what motivates Santa to work through such difficult working conditions? He is likely to be eligible for retirement, and while he may be doing it for the fame it is unlikely that the role provides a strong financial incentive. It is, however, far more likely that Santa draws meaning and purpose from this job of his. We know that individuals working or volunteering with charity and religious organisations are motivated by their values and their propensity for prosocial behaviour (Cnaan et al., 1993). Furthermore, having a sense of purpose and meaning at work is positively linked with better work and general wellbeing, engagement and performance (Shuck & Rose, 2013). 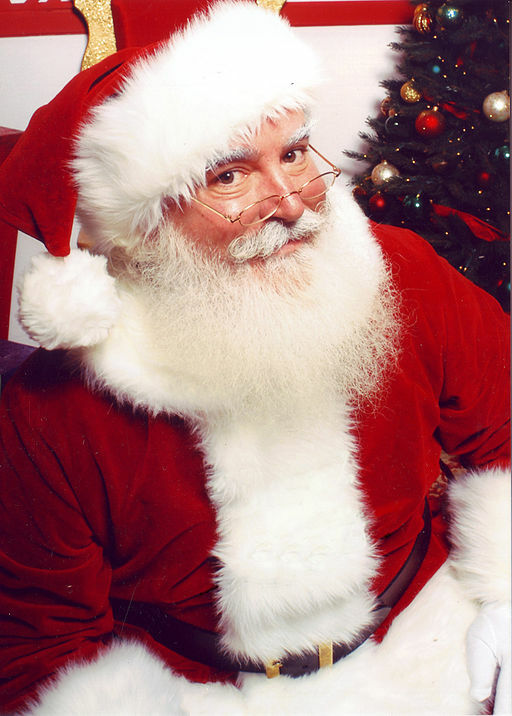 Focusing specifically on Santa, two studies (Fletcher & Low, 2008; Hancock, 2013) involving a group of Santa Clauses found that these actors frequently perceived authenticity in their role as Santa. The job was not only because of the money, but was driven by a sense of recognition that they were doing something worthwhile, bringing happiness to the kids and making it a magical experience for them. From a distance, it seems that Santa has most things under control. Yes – it is not a perfect working environment, but Santa has taken charge of his work environment, moving deadlines and empowering partners to work with him where possible. He appears to be very much in touch with why he is doing this job, providing meaning and purpose to his role. There is still scope to improve, a better understanding of the demands will help develop and target resources relevant to Santa. Listening to and appreciating Santa is also imperative. After all, if we don’t support and believe in Santa, how can we expect Santa to continually believe in himself? *A longer version of this article first appeared in the European Academy of Occupational Health Psychology Newsletter (2015, Volume 12, Issue 2). Cnaan, R.A., Kasternakis, A., & Wineburg, R.J. (1993). Religious people, religious congregations, and volunteerism in human services: Is there a link? Nonprofit and Voluntary Sector Quarterly, 22, 133-151. Dawson, D. & Reid K. (1998). 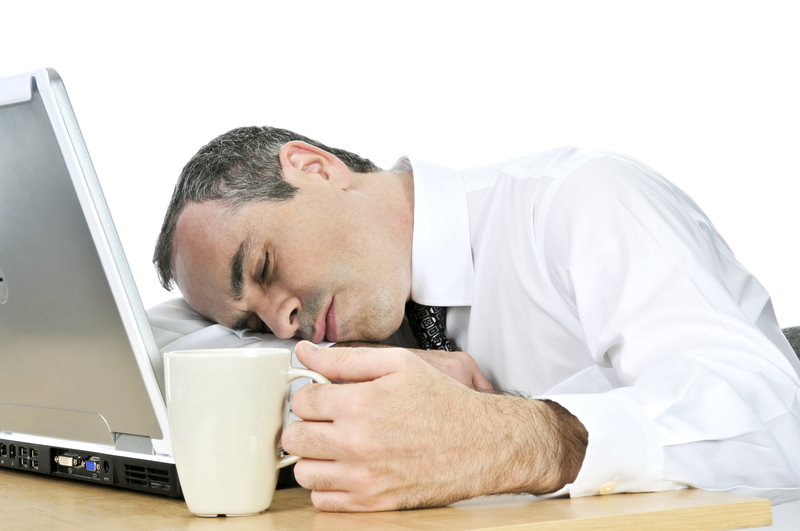 Fatigue, alcohol and performance impairment. Nature, 388, 235. Fletcher, R. & Low, D. (2008). Emotional Labour and Santa Claus. ANZMAC 2008, December 1-3, Melbourne, Australia. Goetz, K., Musselmann, B., Szecsenyi, J., & Joos, S. (2013). The influence of workload and health behaviour on job satisfaction of General Practitioners. Family Medicine, 45, 2, 95-101. Hancock, P.G. (2013). ”Being Santa Claus’: the pursuit of recognition in interactive service work. Work, Employment & Society, 27, 6, 1001-1020. Hesselink, J.K., Verbiest, S., & Goudswaard, A. (2015). Temporary workers. OSH Wiki: European Agency for Safety and Health at Work. Ree, E., Odeen, M., Eriksen, H.R., Indahl, A., Ihlebæk, C., Hetland, J., & Harris, A. (2014). International Subjective health complaints and self-rated health: Are expectancies more important than socioeconomic status and workload? Journal of Behavioural Medicine, 21, 3, 411-420. Shuck, B. & Rose, K. (2013). Reframing employee engagement within the context of meaning and purpose: Implications for HRD. Advances in Developing Human Resources, 15, 4, 341-355. Svan, K. (2009). Santa Claus at Risk. Faculty of Science, University of Gothenburg. Sweeney, J.T. & Summers, S.L. (2002). The effect of the busy season workload on public accountants’ job burnout. Behavioural Research in Accounting, 14, 1, 223-245. Wrzesniewski, A. & Dutton, J.E. (2001). Crafting a job: Revisioning employees as active crafters of their work. Academy of Management Review, 26, 2, 179-201. This article was contributed by Dr Andreas Liefooghe, Reader in Organizational Psychology, and Dan Vacassin, an alumnus of Birkbeck’s MSc Organizational Behaviour and Director of Indigo Gold. Sometimes it seems as though it’s no longer enough for employees just to turn up for work and do their jobs as well as they can. Today, many organisations demand varying amounts of what is known as emotional labour, a phenomenon that sits apart from actually doing the job. Emotional labour manifests itself in a number of ways, but here we are referring to a perceived need to ‘Live the brand’ – to strain every sinew in a bid to achieve the cultural utopia envisioned by the leadership team. This is not healthy. At best, it can leave employees so exhausted by the energy they put into ‘getting their game face on’ that they have little left to do their jobs properly. At worst, we’ve seen it lead to cases of burnout, where the emotional demands placed on individuals have left them no longer able to function. While many of society’s ills seem nowadays to be subjected to inflated terminology (for instance we no longer seem to have heavy colds, it is always flu) burnout is very real and its effects can be shocking to witness. In our experience, burnout tends to happen not because individuals work hard, but more because they become emotionally immersed in their work, to the detriment of everything else. This is not to suggest that presenting a strong brand to the customer is a bad thing. Equally, customer-facing employees have a certain responsibility to embody that brand. We are talking instead about a deeper emotional contract demanded of employees, playing to a need to ‘fit in’ which may be a unique human condition. Alleviating the burden of emotional labour, as with other culture-related issues, must start at the top. Very often, investigating a case of burnout uncovers insecurities among the leadership team, with senior managers finding it hard to judge when an organisation is working at or close to its optimal level and so continue to push relentlessly towards their version of utopia. As well as the emotional fatigue it causes, the emotional labour around being constantly ‘on message’ can also stifle fresh ideas and creativity, while negating attempts to promote the diversity of the workplace in terms of personality types and behaviours. The whole point of creativity and diversity is that they involve breaking away from perceived notions of the norm; if people feel they must always behave in a certain way in order to get on, then the norm becomes all-pervasive. We all have a responsibility to learn, to improve and to better ourselves in whatever career we have chosen. So why not let people get on with doing precisely that, instead of focusing on whether they’re sufficiently on message? You might just keep them burning brightly, instead of burning out. As winter descends upon us, is your community prepared for devastating storms and floods? This post was contributed by Frank Watt, a part-time PhD student in Birkbeck’s Department of Organizational Psychology. He retired from his job as an Assistant Chief Officer for Derbyshire Fire and Rescue Service in 2008. 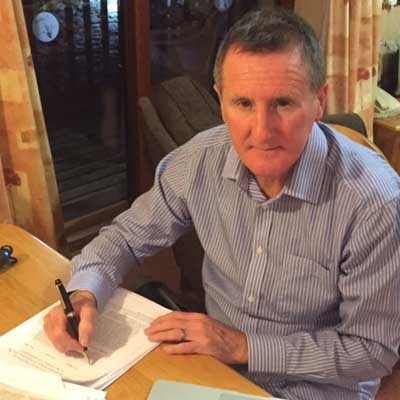 Frank is now a consultant specialising in coaching and re-energising stalled projects. The media coverage of the flooding in the Somerset Levels in late 2013 and early 2014 brought the water, heartache and misery into all of our homes. More what? More dredging? Expert engineers state that dredging would not have solved the problem and is more of a red herring that flood victims have latched onto. More pumps? Emergency services would ask: “And pump it where?” Excess water was already being pumped into the River Parrot . More funding? And do exactly what with the funding? Probably throw it all on flood defences, and, yes, that’s what they have done. Danny Alexander, chief secretary to the Treasury, recently announced £2.3bn investment in 1,400 flood defence projects. Engineered solutions can help, but are a short-term solution to a longer-term problem. What about less? Less incentives to cultivate land that holds vast amounts of water in check, less building on land that was originally a marsh and less reliance on agencies and services that are stretched to cope with the on-going emergency. Whilst the Somerset Levels may be seen as an extreme example of flooding in the UK, it is not uncommon. A flooding timeline over the past 10 years shows extreme flooding in many parts of Britain but not consistently in the same place year on year. The Met Office weather map comparing the 2013 and 2014 rainfall shows a marked difference in location for the heaviest downpours. So where does that leave policy makers and planners? The Environment Agency has many large projects, some already underway, to try and deal with the deluge of water produced by constant rain falling on water logged ground and an urban environment that was not designed to cope with the current levels of surface water. Perhaps part of the solution is localised planning together with mobilising of national resources to carry out some preventative measures. But is it all up to the professionals or can local communities get together to assist the professionals? Better still, can local communities get together and prepare before the flooding has a chance to affect their properties? A typical scenario might be: it’s been raining all night and the weather forecast predicts a storm is approaching that might last for hours. What are your initial thoughts? Will you focus on self-preservation or just sit tight and hope everything will turn out all right? You could offer help to someone more vulnerable, or would you feel vulnerable and seek assistance from someone nearby? Perhaps you might check to see if your neighbours need assistance or even phone around to see what everyone else is doing? I suppose what you believe you might do depends upon many factors such as experience of similar events, the risk of something actually affecting you or your property or having people around you that might get together and do something to reduce the effect of the emergency. Much of the previous disaster research focuses on response during an emergency or the aftermath, whether that is professional emergency managers or organised groups of volunteers or residents. Before we can ponder about the effectiveness of residents actively engaged in preparing their community for a weather-related emergency, one might want to ask the question: “Do they want to be engaged”? There appears to be an assumption at national policy level that all communities will engage with local emergency planners to undertake risk-based preparedness measures, but what if they don’t want to be engaged and view preparation for extreme weather to be the responsibility of an agency or government department? Local emergency planning departments offer a range of support mechanisms from information to assisting in communities getting involved. There are a number of other agencies that provide information and volunteer assistance, such as the National Flood Forum, a registered charity that does some great work with communities and flood victims. Having been engaged in research on this topic for the past six years I believe it would be useful to know if residents believe that their communities can undertake preparedness activities. Not only that but the very enquiry as to what they believe may spark something in them to find out more and get engaged with protecting their community. If you want to find out more about my research and take part in the survey please visit my web page, www.fwatt.co.uk. Keep dry and be safe!